It looks like this phenomenal 28-year-old singer Cécile McLorin Salvant was actually my last previous post. Anyway, here’s the skinny on her second set at Scullers on Saturday night, the fourth of the weekend, with pianist Sullivan Fortner, a reprise of their April appearance. Since that appearance in April, McLorin Salvant has released the double-disc Dreams and Daggers (Mack Avenue). She did a couple of those songs in the set I saw, but here are the basics. From the outset, she said they’d be performing love songs. This entry was posted in Live review, Music Diary and tagged cecile mclorin salvant, jazz singing, live music, Scullers Jazz Club, Sullivan Fortner on December 17, 2017 by jongarelick. Danilo Pérez plays Scullers February 15 and 16 . Photo by Luke Severn. Plenty of good stuff happening in Boston-area jazz this week. You can find these and other choice arts picks at The Arts Fuse. Alto saxophonist Pat Donaher’s beguiling Who We Are Together lives in that world where jazz crosses over into a kind of classical chamber music. Or maybe the other way around. With his alternating duo partners, pianists Hwaen Ch’uqi and Camille Barile, Donaher favors spontaneous improvisations, with attractive folk-like melodies and ambiguous harmonies. A Quincy, MA, native, Donaher attended the Eastman School of Music before returning home to complete a master’s degree at New England Conservatory. At the Lily Pad he’ll be joined by fellow Eastman graduate Hwaen Ch’uqi. The MIT List Visual Arts Center and WMBR Radio present the seventh in their performance series, this time with the Boston/Amherst jazz group Outnumbered and New Haven bassist and electronic improviser Carl Testa. The Outnumbered features some of the best players in the area: alto saxophonist Jason Robinson, multi-sax guy Charlie Kohlhase, pianist Josh Rosen, bassist Bruno Råberg, and drummer Curt Newton. February 13-14, 7:30 p.m. and 10 p.m.
Bassist and composer Dave Holland’s always compelling blend of grooving mixed meters and controlled contrapuntal mayhem this time falls into the hands of a new quartet with a homonymous new album on ECM. The players are guitarist Kevin Eubanks (a longtime Holland foil before jumping to direct the Tonight Show band), pianist Craig Taborn, and drummer Eric Harland. As usual with Holland’s outfits, everyone contributes original tunes, which makes for an especially alert crew. Kate McGarry has long been mixing jazz with a variety of American pop and folk. Tonight she and her husband, the guitarist Keith Ganz, step out of their usual band format to play as the title alter-ego duo from their new album, Genevieve & Ferdinand (Sunnyside), somehow making Paul Simon’s “American Tune,” Todd Rundgen’s “Pretending To Care,” and Iriving Berlin’s “Let’s Face the Music and Dance” all part of the same sound world. You can also expect a couple of McGarry and Ganz’s well-turned originals. This promotional anniversary tour for the granddaddy of jazz festivals looks on the face of it like a grab-bag of supremely talented, medium-profile all-stars, but the tour producers and bandleader Anat Cohen have declared a specific agenda: to focus not only on music from Newport’s storied history, but also original compositions and arrangements from everyone in the band. And it is a formidable crew. Saxophonist and clarinetist Cohen will be joined by multi-lingual singer Karrin Allyson, trumpeter Randy Brecker, guitarist Mark Whitfield, pianist Peter Martin, bassist Larry Grenadier, and drummer Clarence Penn. This second night of a 21-date tour (a Celebrity Series of Boston event) should be crackling. Read my Boston Globe piece about the tour here. February 14, 8 p.m. and 10 p.m.
No less an authority than Nat Hentoff has called singer Catherine Russell “the real thing.” With a strong pedigree (daughter of Louis Armstrong orchestra music director Luis Russell and guitarist Carline Ray, of the International Sweethearts of Rhythm), Russell made her early career singing high-profile back-up gigs (Paul Simon, David Bowie, Jackson Browne, Cyndi Lauper, Rosanne Cash) before going solo about 10 years ago and delivering one beautifully assured album after another, focusing on vintage swing and blues, with the occasional oddball and apt contemporary choice (the Grateful Dead’s “New Speedyway Boogie”). She has the kind of voice and diction that lend every song a conversational directness and literate clarity even when she’s hitting the high notes and swinging her hardest. Her latest, Bring It Back (Jazz Village), comes out this Tuesday and it’s another well-designed collection, guided by her own taste and by the skill of music director/guitarist Matt Munisteri. 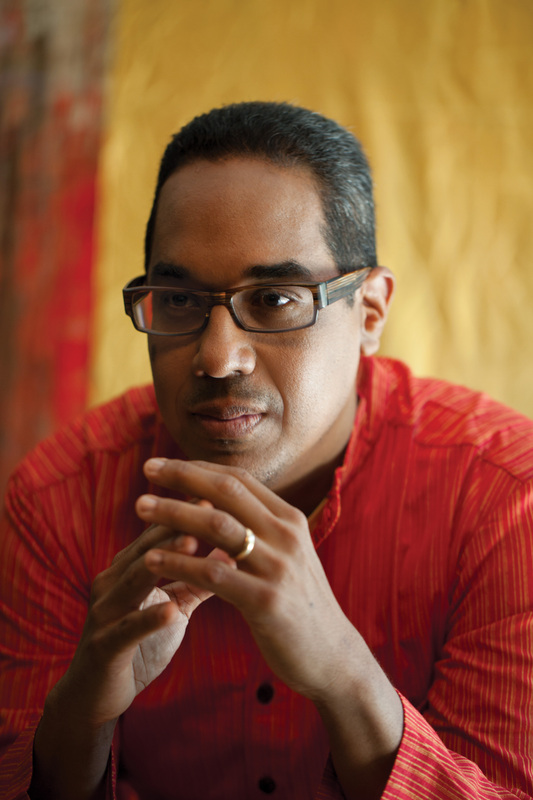 The 47-year-old pianist and composer’slatest CD, Panama 500 (Mack Avenue), is his most ambitious achievement yet. Looking again at his native Panama, he offers a portrait that mixes folkloric percussion, chants of the indigenous Guna people, modern-chamber music string writing, and, of course, fleet jazz-piano trio sections. At times, all these languages are layered so that history emerges as a living memory. Pérez brings an ensemble from the album to Scullers: violinist Alex Hargreaves, percussionist Roman Díaz, and his longtime trio mates, bassist Ben Street and drummer Adam Cruz. Read my Boston Globe review of the CD here. This entry was posted in Preview and tagged Anat Cohen, Carl Testa, Catherine Russell, Charles Mingus, Charlie Kohlhase, Craig Taborn, Danilo Pérez, Dave Holland, Gunther Schuller, Jason Robinson, jazz, Kate McGarry, Keith Ganz, Newport Jazz Festival, Pat Donaher, Regattabar, Scullers Jazz Club, Third Stream on February 7, 2014 by jongarelick.